According to a news report from Bombo Radyo Baguio City, at least five (5) individuals were injured when the pick-up jeep they were riding fell on a ravine on Monday afternoon (March 20). The accident occurred along a stretch of the Ambassador-Babatan-Ducot Road. According to police investigators, the jeep was going down a sloping portion of the road when it suffered a mechanical failure. The driver lost control of the jeep's brakes and steering wheel causing it to slide down a 250-meter ravine. The injured were immediately brought by responders and rescuers to the Benguet General Hospital which is located in the nearby town of La Trinidad. Attending physicians decided to have them confined in the hospital so that they will be observed if they suffered any other injuries like internal bleeding. 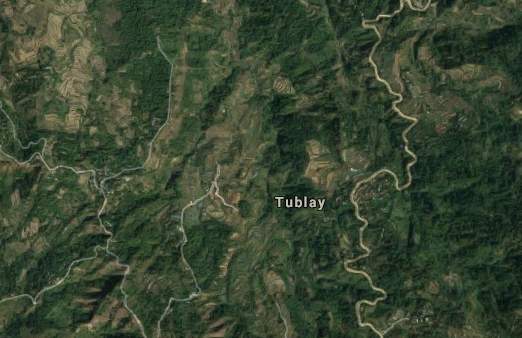 In light of the incident, local officials of the town of Tublay are advising motorists to be extra careful when traversing the roads within the municipality. Aside from the high cliffs and ravines, the winding and zigzagging roads also cause problems for motorists.